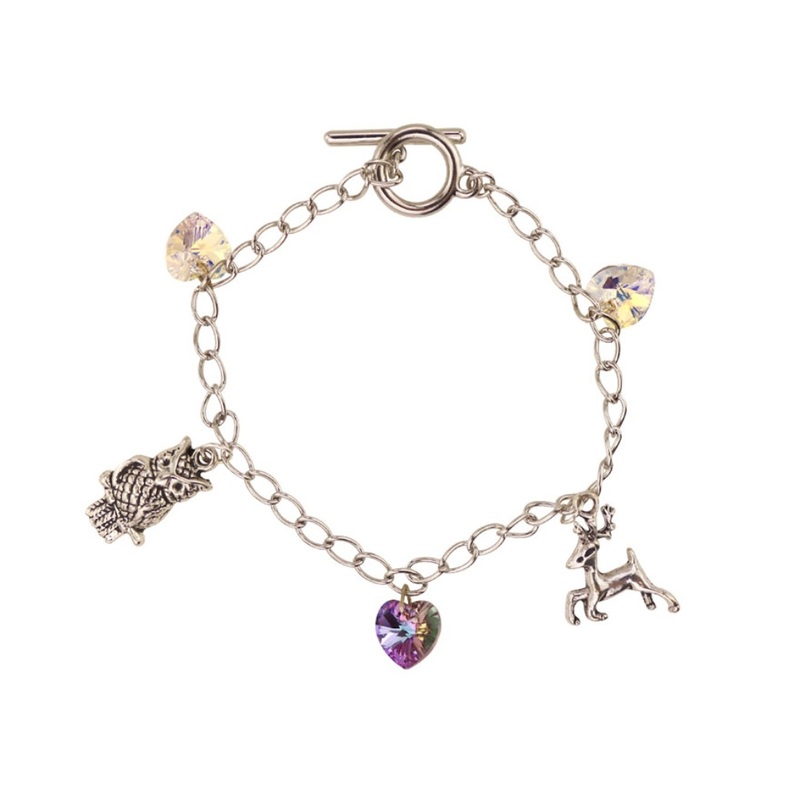 Add this adorable woodland charm bracelet to your jewellery collection. This silver coloured charm bracelet is decorated with an owl and a stag making it a perfect bracelet for the winter season. Presented nicely in a gift box this is the perfect gift for animal lovers.